But in my dream, anyone but Anne Hathaway played Fantine. Still, I can’t help being excited for the Les Mis movie coming out this Christmas. I propose that us lovely ladies from GHS hop back into our corsets for a midnight viewing – what do you say? Will you be going to see this rendition of the classic Victor Hugo story? Last night, Katie and I painted the town red – and black (the dark of ages past) – when we took in opening night of Les Misérables at the Boston Opera House. For me, this was more than just a night at the theater. It was a symbol of our friendship. It was a reminder of that time 9 years ago (yes, I feel old when I say that) when we first saw Les Mis on stage (also through Broadway in Boston) with the music department of our high school. The way we felt when the barricade folded and the stage started spinning. The shock and awe of watching a musical – and this musical especially – reveal the fate of each character and rip your heart away in the process. Then, the production we did our senior year of high school, where we built the barricade by hand, stayed up late sewing tri-color scarves, and scoured HomeGoods for the best silver candlesticks $30 could buy. And then, a reminder of London, of the six months we spent there together, eating waffles in Hyde Park, shopping on Portobello Road, and deciding on a whim to go see the stage production there, buying tickets after class and eating ice cream in the balcony during intermission. All that brought us here, to our sweet little Boston apartment with photos of our lives on the walls, a Big Ben shower curtain, and a roommate who knows how to finish whatever musical tune you start. Now, ON WITH THE SHOW! Spoilers ahead! … until Katie and I go see Les Mis! This will be our third time seeing the show together, not counting the O2 televised version and the 4 shows we put on in high school, and I get more excited each time. I’m a bit nervous because I hear that when it was restaged, they took away the turntable component (gaspshockawe) but I’m sure it will still be a fabulous show. I’ll give you my review later this week! This song brings back memories of staying up late building the barricade in the hallways of the music wing. Of sewing tricolors and finding the right petticoat to wear under my various skirts. 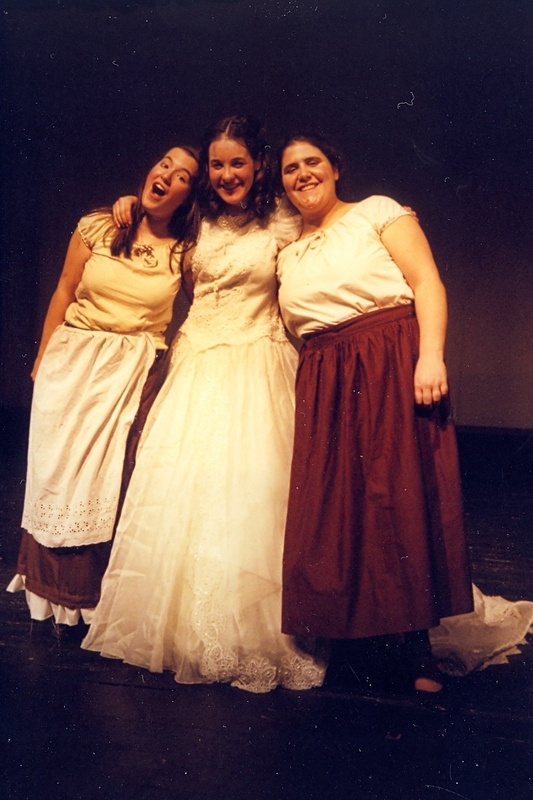 Of learning to waltz and losing my voice right before the final production. Of feeling like a part of a real revolution as we marched in place and belted out those lyrics. Of last night, as we watched this on WGBH and relived our high school days by singing along, and realizing how many words we still know. PS: Les Mis is coming back to Boston next year and I will definitely be there – let me know if you want to join!